Sold at auction, price HK$ 3,658,000 ($472,000 US Dollars) L&H Auction, Hong Kong, May 3, 2014. 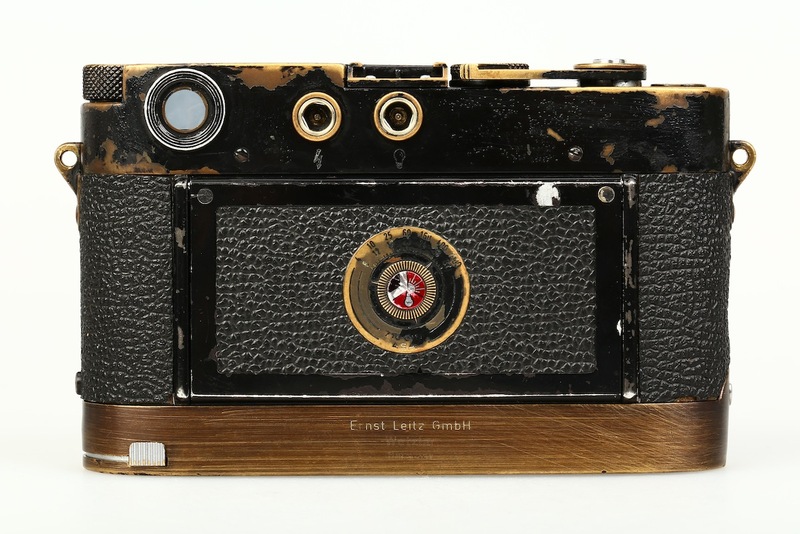 This is the 2nd Black Paint M3 camera ever made and the lowest number known to still exist. The camera has the earliest features found on the M3, including an early style rewind knob and four holding screws for the top plate. 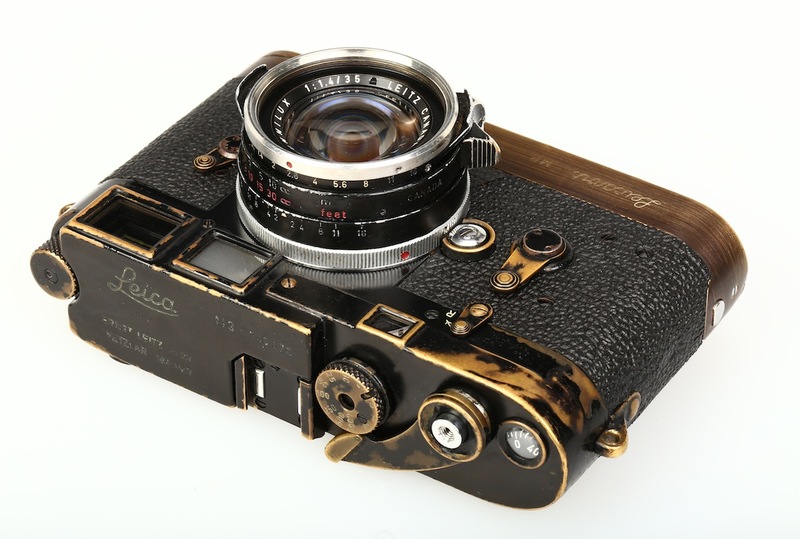 The camera has also had a factory conversion for use with the Leicavit-MP, although the automatically resetting frame counter was kept with the help of a Leica M4-sytle counter resetting mechanism, which makes this a very unusual and probably unique Black Paint M3/MP camera. The camera sold with three very early black paint lenses with both lens caps. 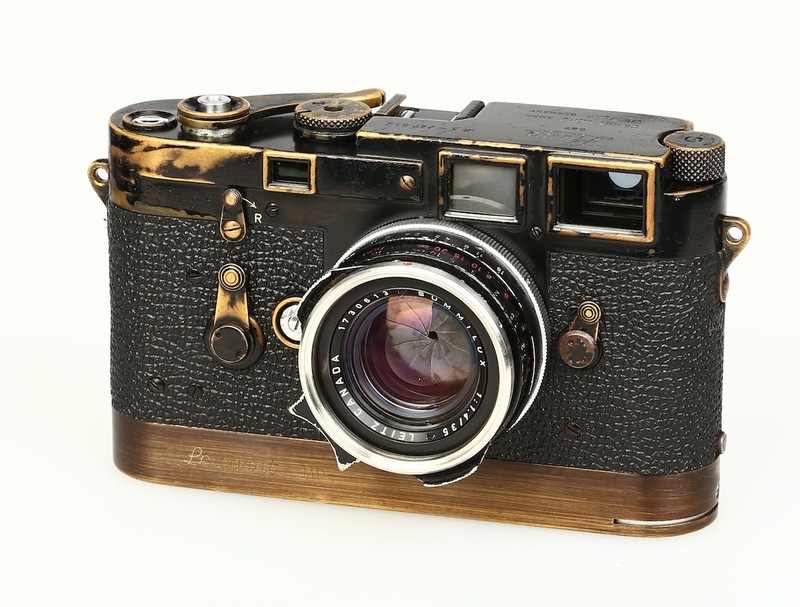 The first lens is an early Summicron-M 2/5cm (#1587297) in brass mount with a factory conversion. The infinity lock for the focus ring was taken off so the owner, who was a professional photographer, could use it without blocking the lens. The second is a very rare Summilux-M 1.4/35mm (#1730613) without the spectacles and with chrome front ring, one of the most sought after M lenses. The third is a Summilux-M 1.4/50mm which comes from the first batch with brass mount. The design of its knurl on the focusing barrel is unusual and can only be found on a few other very early Summilux and also some of the Summilux prototypes (i.e. Summarit 1.4/50mm). 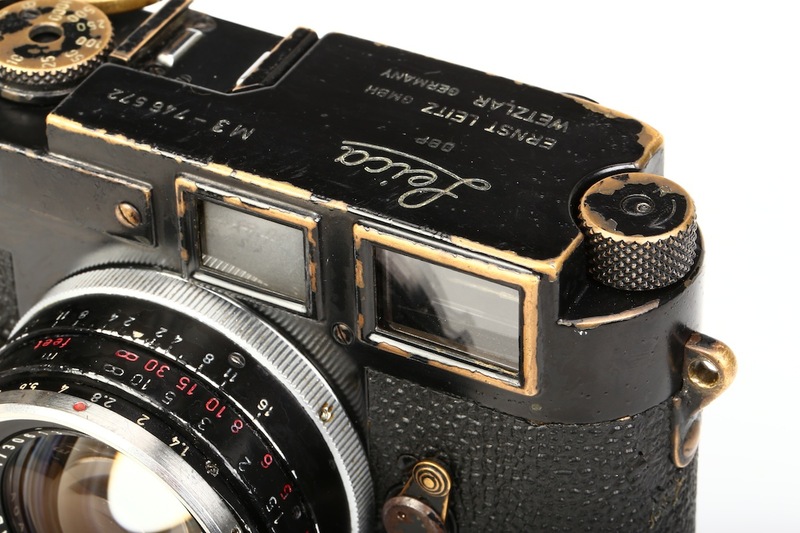 This camera is extremely rare because it is the second one of the first batch of only six black painted M3 and it retains the original four screw top plate. The moral of this story: hold on to that Leica C ‘Hello Kitty’ shooter of yours. In 60 years it could be worth some serious money. This entry was posted in Black Paint Leica, Collectible Leicas, Leica, Leica Film camera, Leica M3, Leica Rangefinder and tagged collectible leicas, Leica M3 on May 5, 2014 by Leicaphila.